Once the reigning “king of the pampas,” the pampas deer now struggles to find a stretch of grass to call its own in the vanishing wilds of Argentina’s prairies. Once said to roam by the thousands throughout its namesake pampas (prairies, or plains, in English), current population estimates in Argentina suggest fewer than 3,000 individuals remain. The wildlife team at the Iberá Natural Reserve is working to reverse this trend, defending its existing populations in the wild, and reintroducing new, viable populations to protected areas within its historic range. In an exciting recent expedition, the Iberá team captured six wild deer for relocation to the Iberá Natural Reserve, where the species had formerly been extirpated. These six individuals joined a growing cohort of re-introduced pampas deer at Iberá, where current population levels stand at 31 individuals, with new fawns on the way. The pampas deer (Ozotoceros bezoarticus) is a small and delicate-looking creature, suited to a quiet, non-migratory life in the tall grasses of the Argentine pampas. Their presence in the landscape was ubiquitous until the turn of the 20th century, when the rapid conversion of the grasslands into cattle pastures, agricultural farms and tree plantations tore relentlessly into the heart of the pampas deer’s habitat. 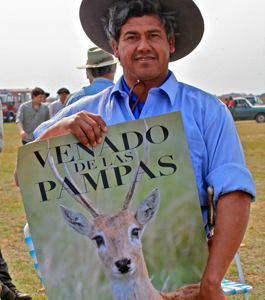 Today, the pampas is considered one of the most endangered habitats on earth: the precipitous decline of the pampas deer is a warning sign of the near-extinction of this ancient grazing paradise. The conservation team at the Iberá Natural Reserve in Argentina’s Corrientes Province is working to reverse the prevailing trends of habitat and species loss in the region by saving and restoring native ecosystems and their characteristic flora and fauna. 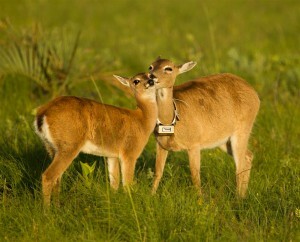 High on the priority list is the reintroduction of the locally extirpated pampas deer to the grasslands of Iberá. 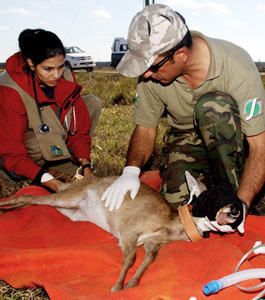 The Iberá pampas deer recovery program has two major goals: first, to stabilize the existing population in the Aguapey region that neighbors the reserve, and second, to re-introduce a self-sustaining population within the reserve itself, thus broadening the deer’s total range. As of November of 2012, the Iberá team has conducted over six years of surveys on the existing population in Aguapey, and has also performed a variety of public outreach programs designed to heighten awareness of the deer’s decline, and curb further population loss. 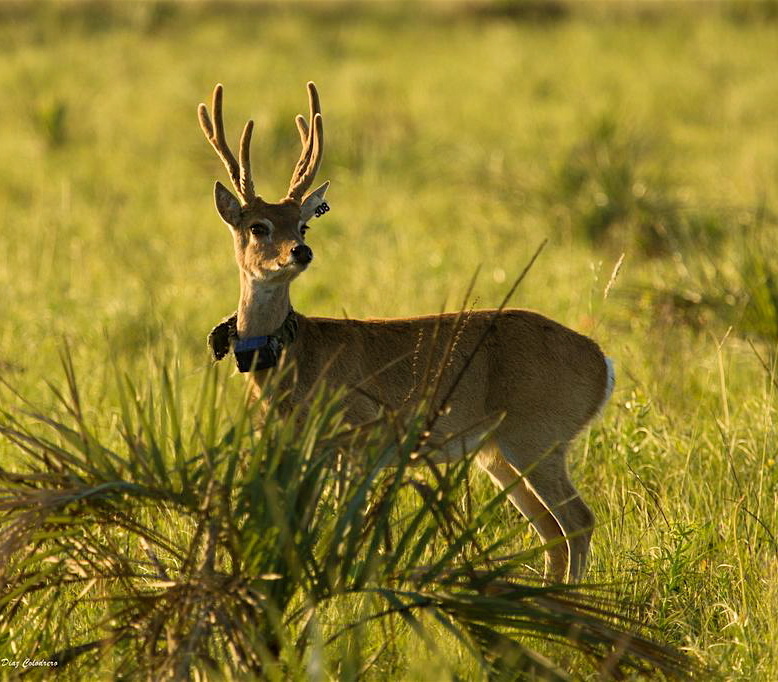 With the help of Argentina Flora and Fauna, the team has established a 535-hectare reserve dedicated exclusively to the conservation of the pampas deer. 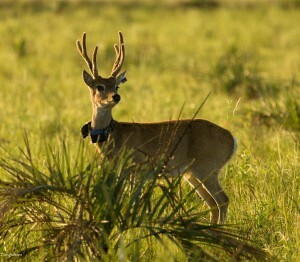 This reserve is called Guasutí Ñu, or Land of Deer in the native language of Guaraní. 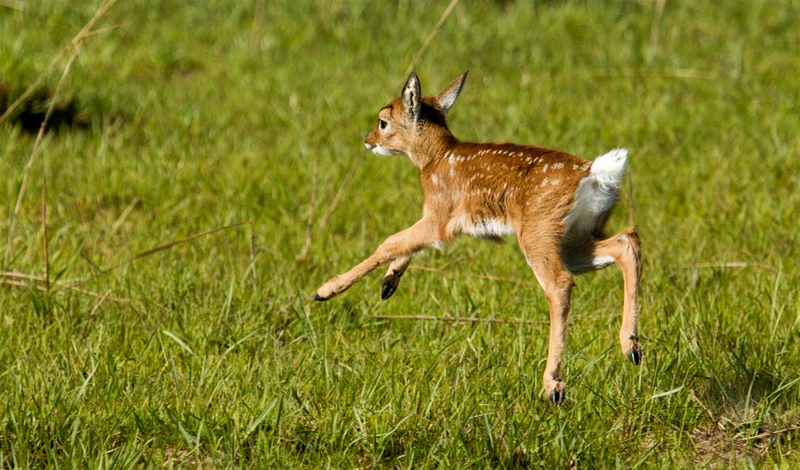 Reintroduction to the Iberá Natural Reserve has also been an ongoing success: to date, a total population of 31 individuals has been established in two of our reserves sited within Iberá, with new generations of fawns successfully surviving to adulthood in their new home range. With just four other remaining populations of pampas deer in Argentina, this new population at Iberá raises the total to five. This may seem like a small victory, but as the first official reintroduction of the pampas deer to date, it is an essential step forward to the long-term recovery of the wild, boundless pampas of Argentina. You might think that advocates for wild places would oppose all road construction or improvement. Certainly, most road construction is a curse to natural systems: disrupting habitat, permitting exploitative development, and promoting fossil fuel consumption. 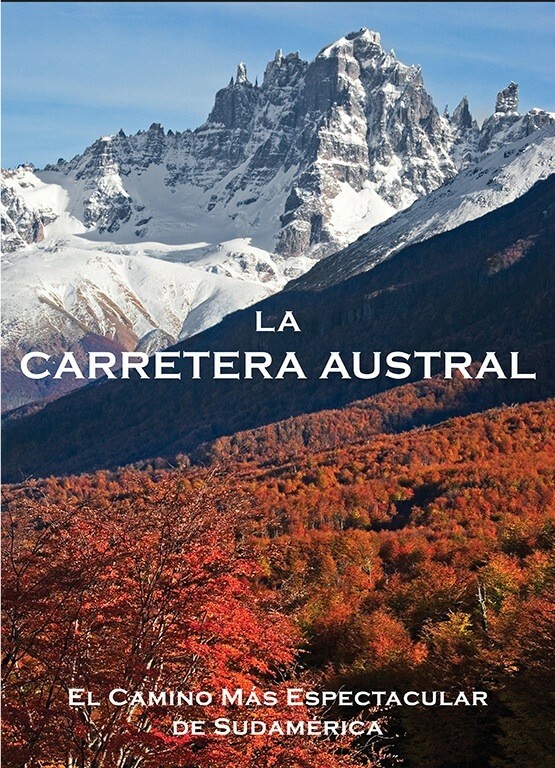 Yet here in south Chile, our team has started a campaign for the Carretera Austral, the “Southern Highway.” The goal: the designation of this rugged 700-mile road as a Scenic Highway, establishing legal standards for signage, road maintenance, and roadside development. Blessed with endless glorious vistas, the Carretera Austral should become one of the world’s great road trips, jumpstarting the growth of ecotourism along its length. 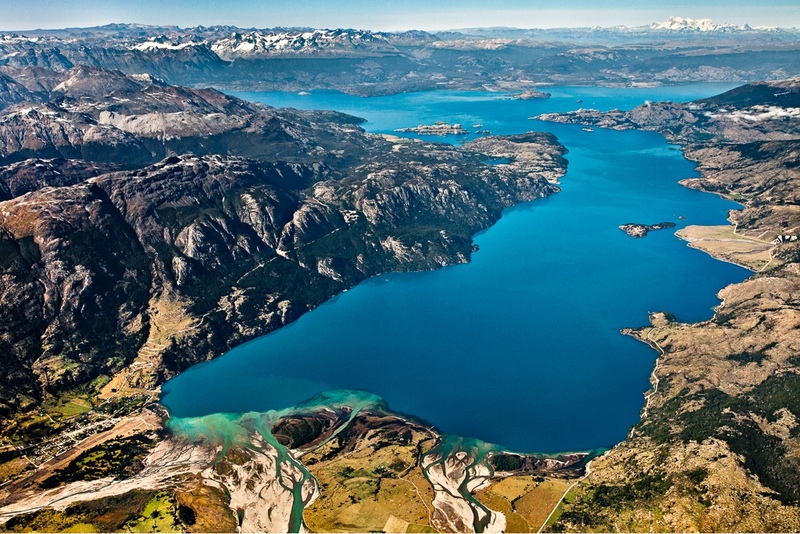 For decades, The Conservation Land Trust has pushed for more ecological, aesthetic road development through conservation areas: the road through Pumalin became Chile’s first Scenic Route in 1997, and the road through the future Patagonia National Park (Paso Roballos) is under consideration for that status. 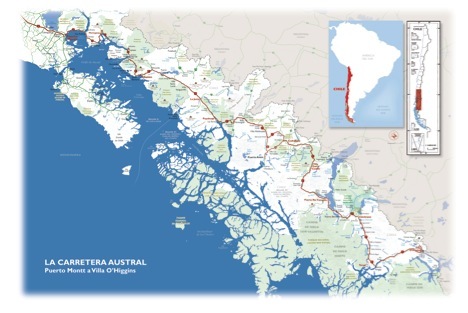 But the Carretera Austral campaign represents the largest and most community-oriented project to date. 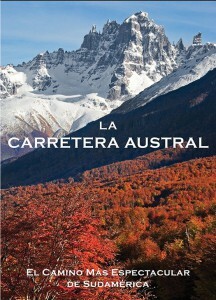 During November 2012, we published a new photo-format book, La Carretera Austral: El Camino Más Espectacular de Sudamérica (“The Southern Highway: the Most Spectacular Road in South America”). With help from other team members, Ingrid Espinoza and Jose Suarez are leading the charge in organizing community book launches in towns along the road, to raise awareness for the initiative, discuss its implications for local economies, and give supporters a tool for sharing the Scenic Highway concept. During the summer months, we plan to hold nine launch events and distribute over 1,000 copies of the book to government officials, business owners, civic leaders, journalists, and other stakeholders. The book showcases the landscape photography of Linde Waidhofer, who spent months exploring the length of the route along with her partner Lito Tejada-Flores, who wrote the accompanying descriptions of the landscapes. 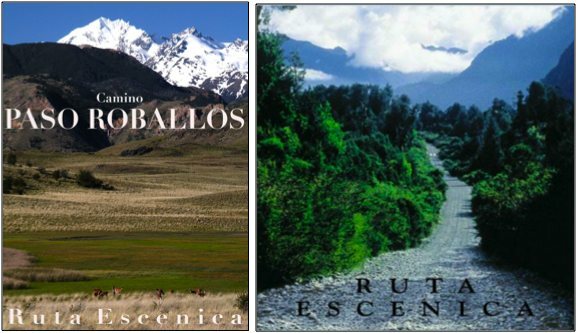 Accompanying essays explore the history of the Carretera Austral and of the Scenic Highway concept globally, as well as the significance, current and potential, of the road for the region at large. 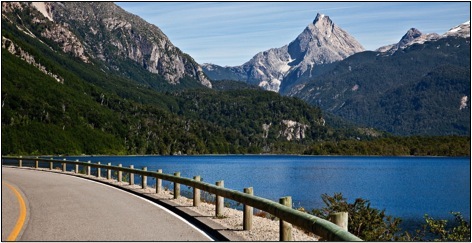 The Carretera Austral serves as the sole north-south highway through the Palena Province and the Aysen Region of south Chile. 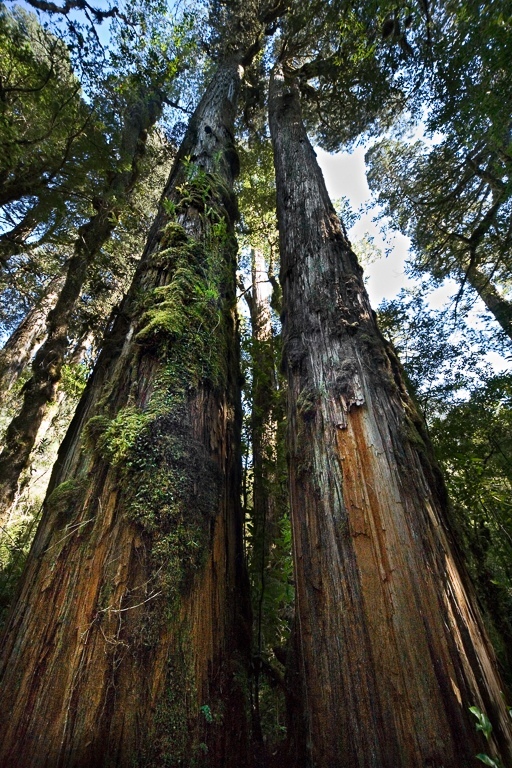 Running from the bustling city of Puerto Montt in the north to the remote town of Villa O’Higgins in the far south, the Carretera Austral represents one of the major accomplishments of Pinochet’s dictatorship. Before the 1980s, these remote and sparsely populated remained disconnected, by road at least, from the rest of the country. the main window through which the traveler experiences a territory of pristine and geomorphologically diverse ecosystems, replete with lakes, mountains, valleys, forests, rivers, ice fields, and volcanoes. For better or worse, most tourists gain their first impressions of a place while driving. Dramatic vistas in the background may serve as the chief inspiration for sightseeing, but the conditions of roadsides in the foreground shape an image of the cultural landscape. Whether dotted with wildflowers or trash, roads signal a community’s care for place and occupy a prime position in travelers’ perception of landscape. As Toloza points out, landscapes are a cultural and economic product, which Chilean Patagonia has ample opportunities to develop. 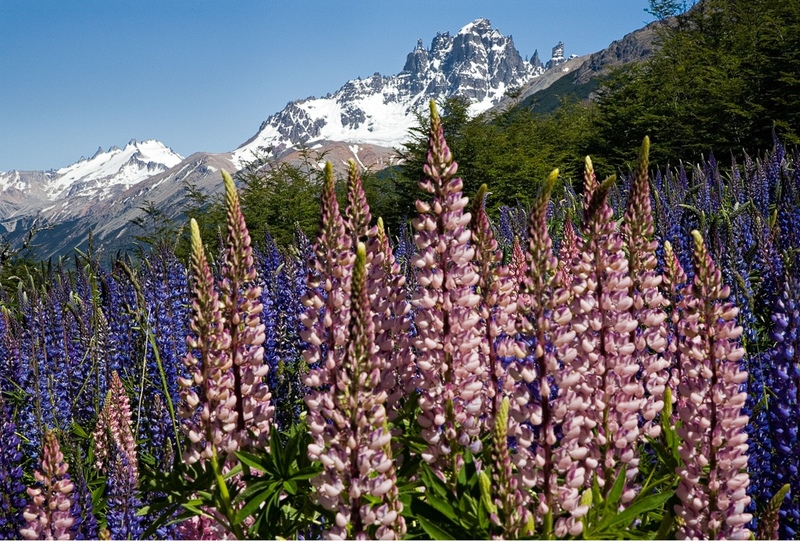 Relatively small investments in signage, lookout areas, and landscaping should more than repay themself, as the Carretera Austral becomes an internationally recognized wild adventure. 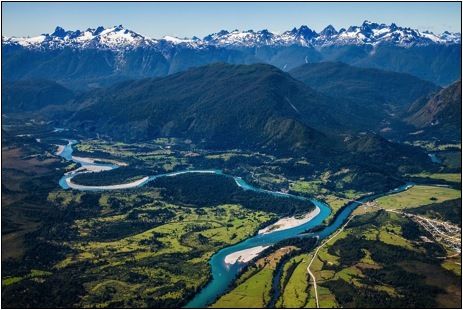 We hope that the publication and launching of La Carretera Austral will advance the project of transforming this unusual route into a vehicle for ecologically sound local development throughout Chilean Patagonia. 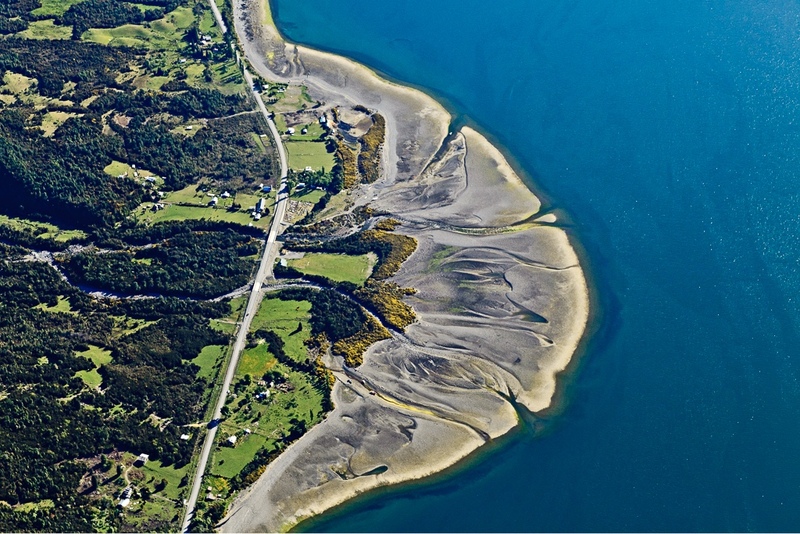 The lush northern stretches of the Carretera Austral, bordering the sea. Wild geography at its most extreme!